KAISSA asks you to accept cookies for performance and advertising purposes. Performance cookies will help us collect anonymous data to make your experience better on our site, while ad cookies are provided by third parties to provide you with personalized ads and content relevant to your preferences. Do you accept these cookies and the resulting processing of personal data? These cookies are necessary for the site to work properly. These cookies are used to monitor the functionality and the performance of the website, as users navigate. By disabling these cookies there might be delays in your navigation. These cookies are used in order to make unique suggestions to you, not only in the website, but outside as well. They contains some personal information such as which site you visited after this one etc. If you disable this, we will not be able to make suggestions regarding your prefferences. In this light, humorous, and fast-paced card game that parodies geek culture and co-habitation, players are roommates just trying to get through life with as little work as possible. At setup each player is dealt a Job card which lists their free time, income, a special ability that they possess and their Slack goal. Players are also dealt five Life cards. The space directly in front of a player is their Room, where cards will be played during the course of the game. Slack can be represented using any available chit or counter, but every player begins with a Slack total of zero. -Make \"variable\" rolls. Some Job cards have variable free time or income; their values for this turn are decided in this phase (rolling a 1-3 gives them the first amount; rolling a 4-6 gives them the second). If there are any \"uninvited\" people in a player's room, he or she may also roll to \"get rid of\" them (by rolling a 4, 5 or 6) and either send each such person to another room or discard them (if they cannot be played to any other room). -If any of the player's in-hand Life cards are green Person cards, they may roll to \"call\" the person to their room. A successful roll (3-6) gets them invited in; otherwise, they are discarded. Some people are \"uninvited\" (causing bad things to happen), and may be placed without a roll in any player's room. (See above for \"getting rid of\" these people.) 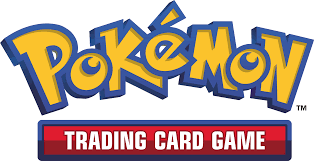 Pet cards, such as Cats (which don't require a roll to enter a room) and Dogs (which may or may not need to be \"called\") can also be played in this round. -Additionally, some Life cards are orange \"Whenever\" cards which can be played at any time. -Activity cards and Thing cards typically list a Slack value which is added to the player's Slack total, though some have random Slack totals and some have Slack totals which vary during the game. TV Activity cards and some Whenever cards can be used to cancel cards as they are being played, and some cause previously-played cards to be discarded. Some cards add or subtract Slack from every player's total, while others cause a player to change their Job card (and hence Slack goal). Many cards alter the effects of other cards. The first player whose Slack total equals or exceeds their Slack goal is the winner.